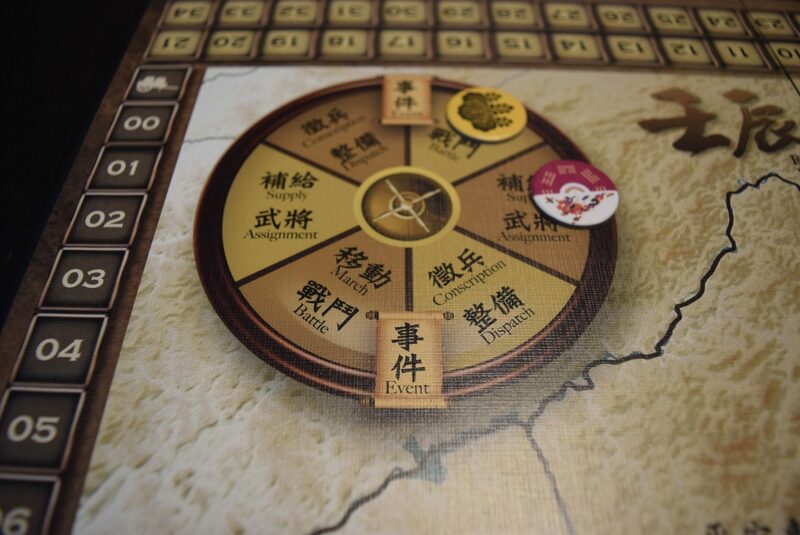 Far East War 1592 is in its last 60 minutes on Kickstarter right now! Due to shipping shenanigans (thanks postal service), we didn’t get our copy until a day or two ago, so we have been putting it through its paces as quickly as possible (while frantically translating the beautiful but decidedly not-English of the game’s components) to get a sense of whether we can recommend this medium-weight area control game for 2-4 players. Andrew: I’m writing on a bit of a timer here, so bare with me while I blaze through my summary! The basics are these: In FEW1592, you and your opponent (or opposing team, if playing with more than 2) are trying to control as much of the Korea as possible. 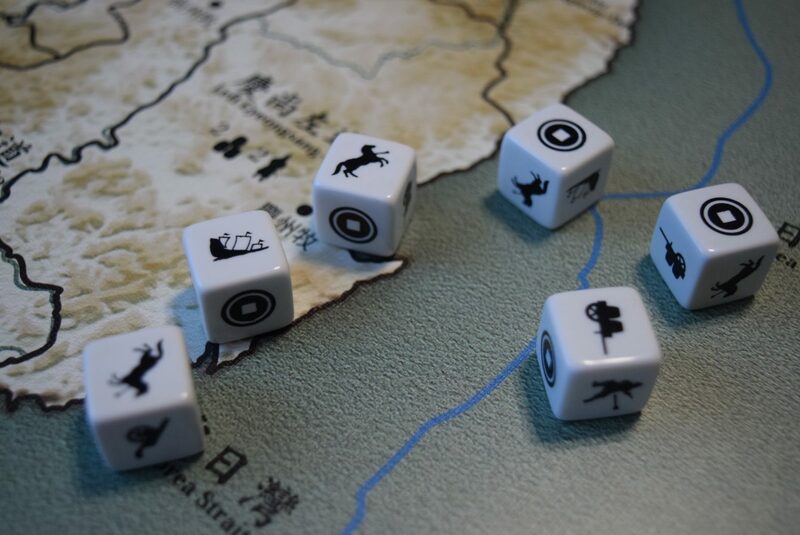 Both the invading Japanese armies and the defending Korean forces will mass troops from the population of provinces they control, spend supplies moving their legions, and use unique generals to spearhead dice-driven clashes with opposing forces. At the end of the game, whomever controls the majority of Korea is declared the victor! Andrew: TLDR, we think Far East War 1592 is a really fun, unique take on the strategic wargame genre. It has a couple of systems that make the game more interesting to us than the usual wargame fair, so we will highlight those (for a full sense of how the game works, check out this excellent video from their Kickstarter). The Action Roundel: Each turn, players will decide what action they will take by moving their token around a roundel. They can move either 1 or 2 spaces, or can pay Supply (the game’s all-purpose currency) to move 3. Each space allows for 2 actions, be they gathering supplies, hiring troops, deploying generals, or moving regimens. The roundel mechanism adds a strategic element to your decision of how to spend any given turn, instead of simply having every action available to you at all times. The Action Roundel is probably one of my favorite parts of the game. Events: There are two ‘event lines’ on the roundel, and each time a player’s token moves across them, an event card is drawn. These events are random and can have positive or negative impacts on either or both players. This randomness adds spice to the game, since it provides more unanticipated changes (though they are rarely drastic) to each turn. And of course, because of the roundel action system, you need to assess if you are willing to risk crossing the Event line to get to that Attack action you so desperately want to use, in case the event drawn messes with your plans. Combat: The combat in FEW1592 is dice-driven. When a regimen attacks, the attacker gets one die per troop in the attacking regiment (up to 4). They can also assign adjacent regimens to assist, which add one die apiece. The defender rolls as many dice as they have in the regimen being attacked. These unique dice allow for not just hits and misses, but also effects like stealing supplies or unique results based on any generals which may be present in the battle (more on them in a second). 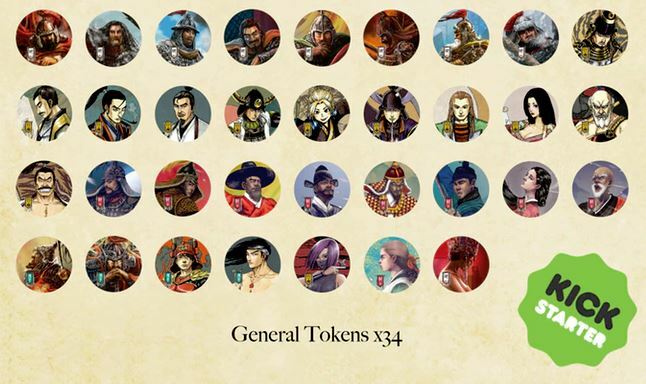 Stacks of troop discs represent regimens, with generals assigned as tokens. The red bar indicates that a stack is attacking, and the yellow indicates a support regimen. Generals: This is the real meat of what makes FEW1592 really neat. Both sides bring with them a pile of unique generals who can be assigned to regimens of troops. Each general has distinct abilities, often empowering the attack or defense of their regimen, or allowing for many other unique abilities (like healing wounded soldiers or ignoring debuffs from opponents’ generals. Furthermore, many generals have effects that trigger during combat to produce even greater results. That’s a lot of generals, and each one is completely unique. Andrew: Far East War 1592 lives in an interesting space, weight-wise. It is nowhere near as heavy as many wargames I have tried (and disliked). It’s tactical and thinky, but not slow or difficult to get into at all. Even translating cards on the fly, we were playing within 20 minutes and having a good time – at least, once we stickered all 100 of those troop tiles. Jess: Yeah, I don’t often like wargames, but this one doesn’t really feel like a traditional one. I think some people aren’t going to appreciate the chaos and the randomness of the dice and the events, but personally, I think that adds a lot of tension and replayability. The bottom line is that in the short time we have had our hands on it, we have really enjoyed our plays of FEW1592. It deserves a more robust review than we have had time to give it here, and that will come in time, but for the moment, suffice it to say with think it’s pretty darn fun. 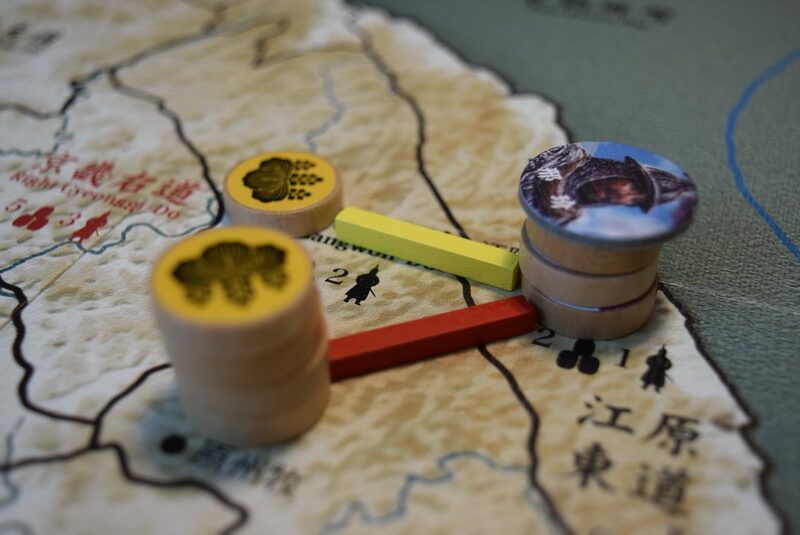 Far East War 1592 is wrapping up its successful Kickstarter basically as we speak. If you are in the market for a medium-weight wargame that scratches the area control itch without getting bogged down in the minutia that often plagues the genre, we highly recommend you go check it out – but do it quick!